Every year Shirlee’s Ultimate Women’s Gym in Upland, CA, helps to raise money for worthy causes. 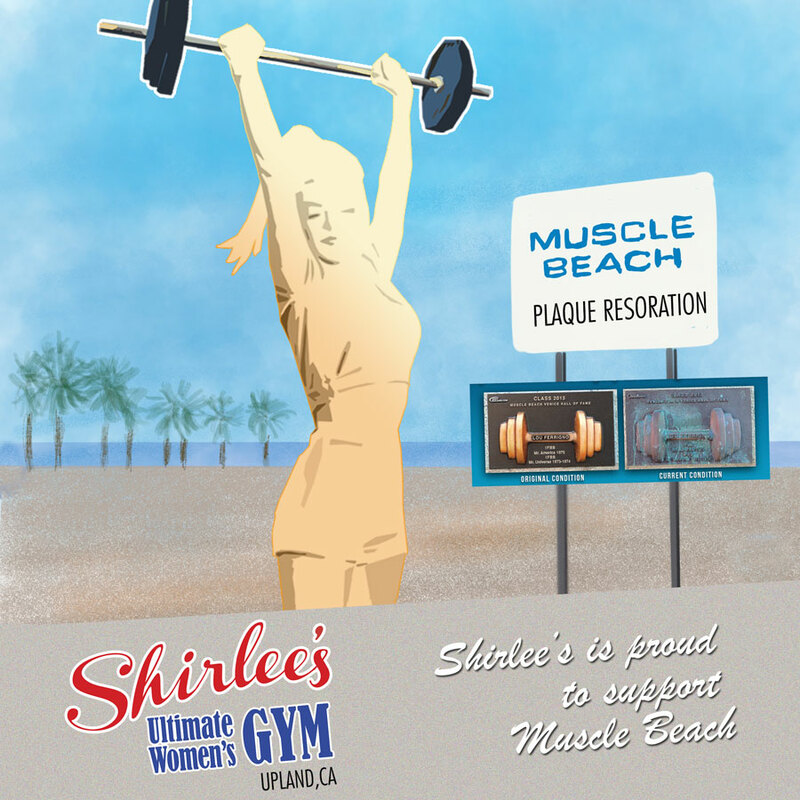 In 2018, Shirlee’s will be supporting two new causes: Music Movement and Muscle Beach Plaque Restoration. We will have a raffle to win a TV with tickets of $5 a ticket or 5 tickets for $20. Buy your raffle tickets at the front desk. Music Movement is a nonprofit that provides music programs for children and young adults with autism and learning disabilities. 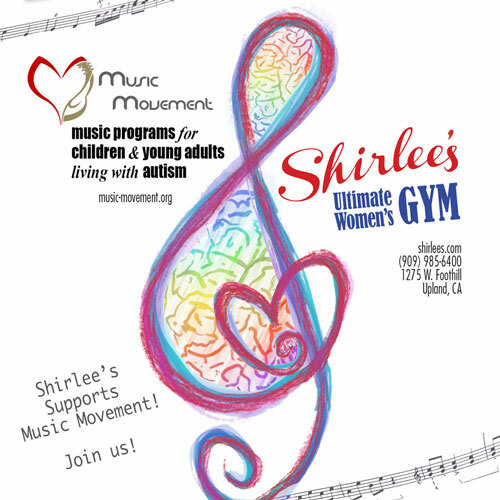 For the next couple of months, for every new membership and every new personal training or massage session purchased, Shirlee’s will donate a portion to Music Movement. “Music does for the mind what exercise does for the body,” said Shirlee’s owner Kon Vong. “We at Shirlee’s are happy to support a group that uses the power of music to help those with autism. My first instrument was a violin. Then I played flute and drums. I was fortunate that my school provided programs for me. I can imagine how helpful it will be for special needs children to get music lessons.” Members can also support Music Movement by making a donation. Shirlee’s goal is to raise $1,000. To learn more about this nonprofit, visit music-movement.org. This entry was posted in ShirleeStrong and tagged claremont ca, Muscle Beach plaque restoration, Music movement, Shirlees gym, Upland. Bookmark the permalink.